Low-end tuned guitar riffs, blasting rhythm section, multidimensional screaming vocals and incredible atmospheric melody. These features probably describes the style of Preternatural. As the band call it itself as Dark Melodic Death Metal. Just to be as dark as they want to be, Preternatural don't hesitate to use keyboards and samples to their music. 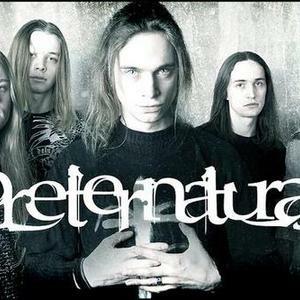 Founded in the year 2000 by two guitarists Serg and Vlad, the band has always tried to create the link between death metal power and black metal atmosphere. Founded in the year 2000 by two guitarists Serg and Vlad, the band has always tried to create the link between death metal power and black metal atmosphere. Despite of the youth of musicians the band has already played a lot of gigs through the Baltic states (with such monsters as Cannibal Corpse, Vader, Impaled Nazarene, Behemoth, Vital Remains, Parricide, Nile), recorded 3 demos and become one of the successful live bands in Latvia.